Flown into the courtyard in Chijmes is Raven the new restaurant and bar featuring new Americas cuisine by the same folks behind House of Dandy (H.O.D). What exactly is new Americas cuisine? Accordingly to what I am told, it supposes to mean Northern and Southern American comfort food with an Asian flair. Kicking starting our dinner at Raven is the Burratina & Heirloom Tomatoes ($18). 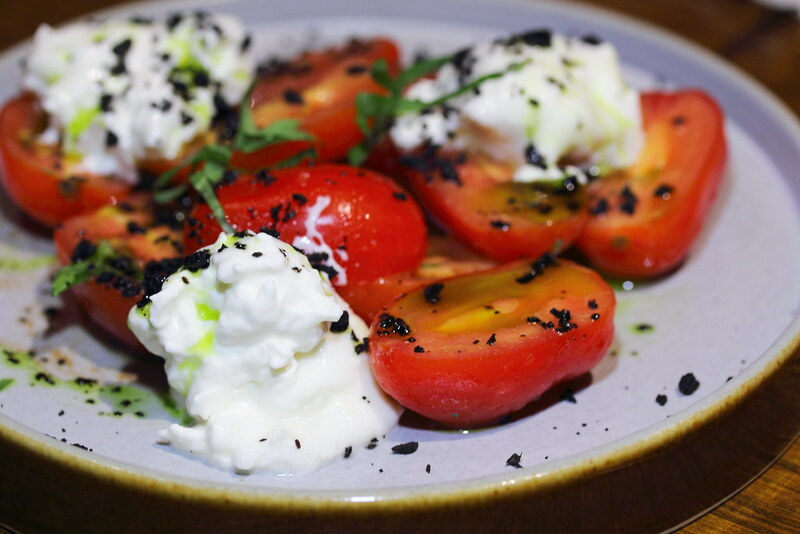 This is a classic combination of buffalo mozzarella and tomatoes that will not go wrong. However the classic dish is given a further lift with the addition of gula melaka balsamic, oregano, basil oil and dehydrated olives. 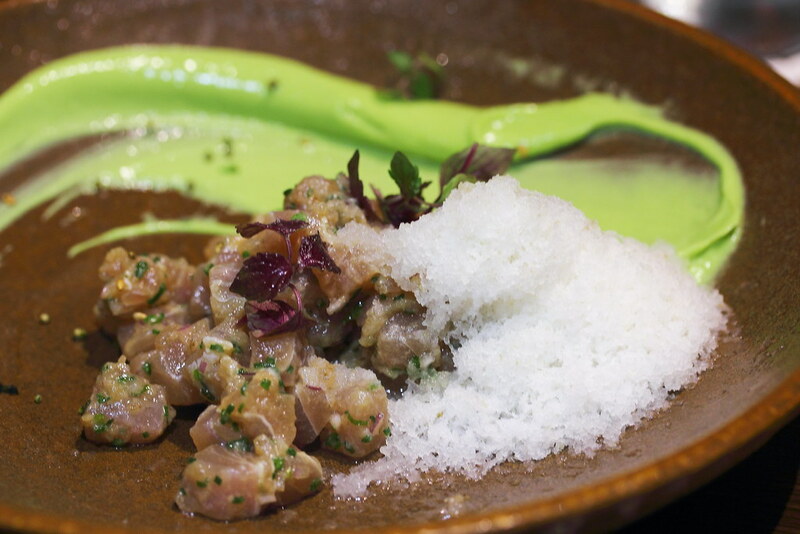 The Tuna Tartare ($17) is a beautiful dish with the tuna cubes being tossed in yuzu and soy vinaigrette for a pleasant flavour complemented by the avocado wasabi puree. The frozen Nan Shui pear shavings provides the refreshing finishing to the dish. 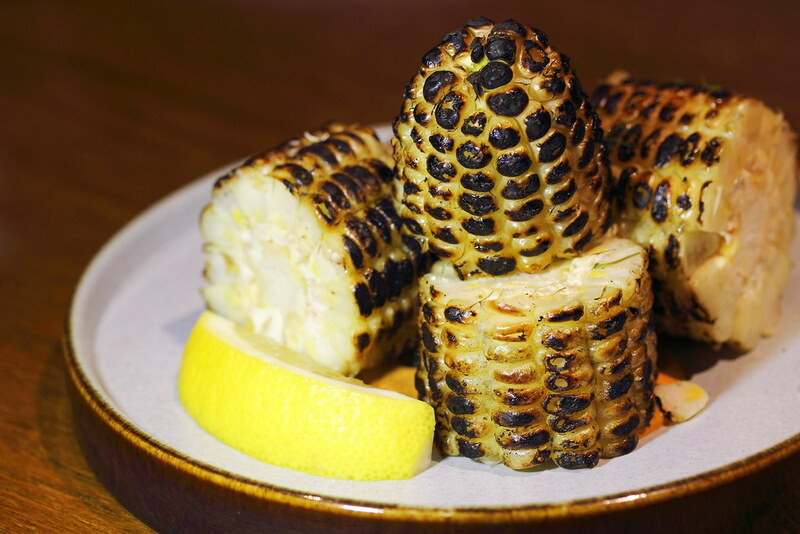 Using Malaysian corn known as Candy corn for its sweetest, the Roasted Corn Niblets ($12) with smoked sour cream (chilli, paprika, cayenne) gave the burnt looking corn a tasteful coating that hits the perfect note with each bite of the kernels. Fried to a nice golden brown is the Chorizo Croquettes ($13) that has been triple fried. 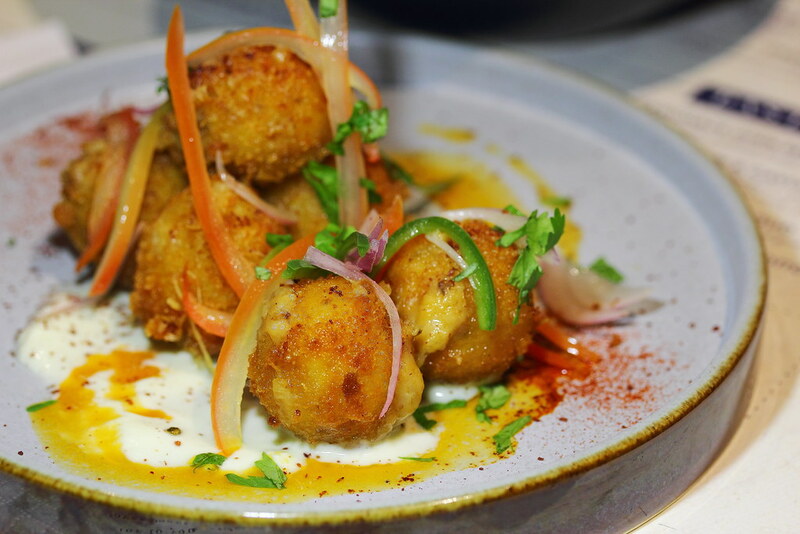 Consists of chorizo, bechamel and mozzarella, the golden balls are served in a tangy jalapeno vinaigrette, housemade creme fraiche and pico de gallo. A delightful bite to go with a few drinks. 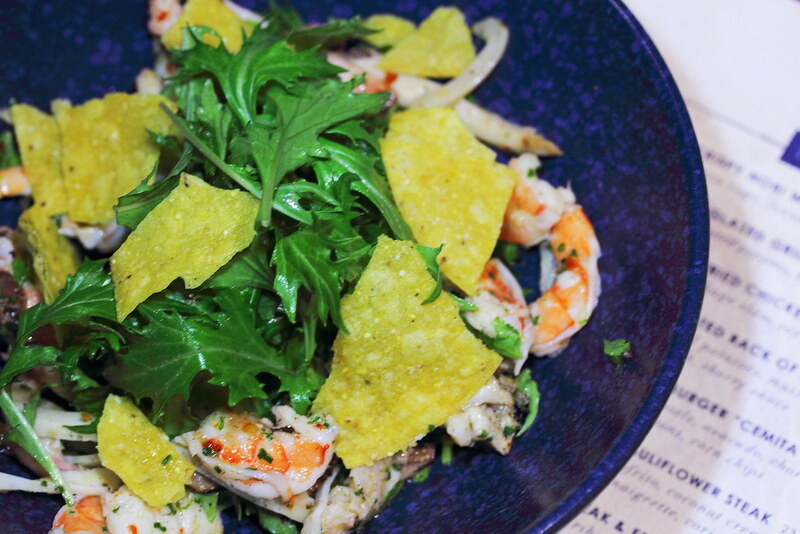 For a light and healthy eat, the Seafood Salad ($23) has braised octopus, grilled squid and prawns. The lime gives the salad the lift in acidity while the chilli vinaigrette provides the additional kick with the corn chips giving it the extra crunch. 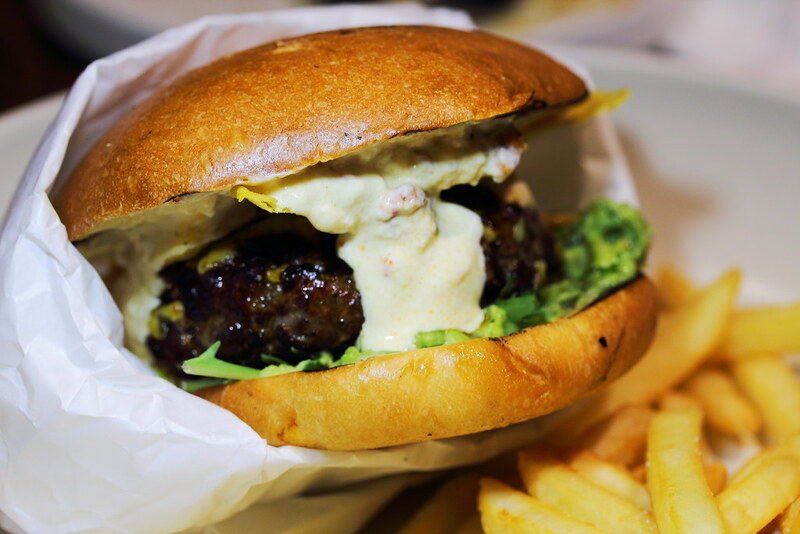 There was a bit of raving about the Raven Burger ($22) and I touching story behind it. While the 180g beef chuck patty sandwiched with chipotle, avocado, chorizo cream, red onions and corn chips is moist and juicy, it still lacked the oomph factor to excite me. 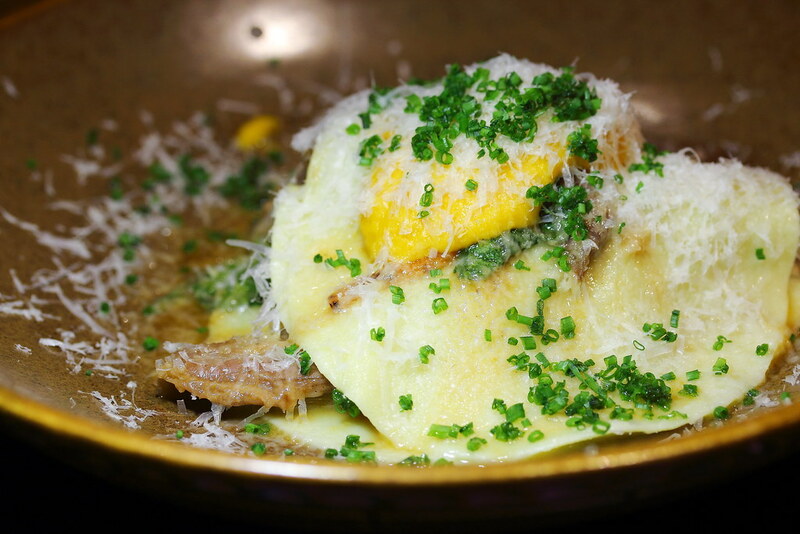 To be frank I rather called this a lasagna then Handmade Open Beef Ravioli ($24). The melted in the mouth pulled beef is braised in red wine for a good 16 hours, and sandwiched between layers of pasta sheets. The flavours and textures are on the note. However like a foreign song, I moved with the music but did not understand the lyrics. The star dish at Raven has to be the Crispy Nori Wrapped Salmon ($29). 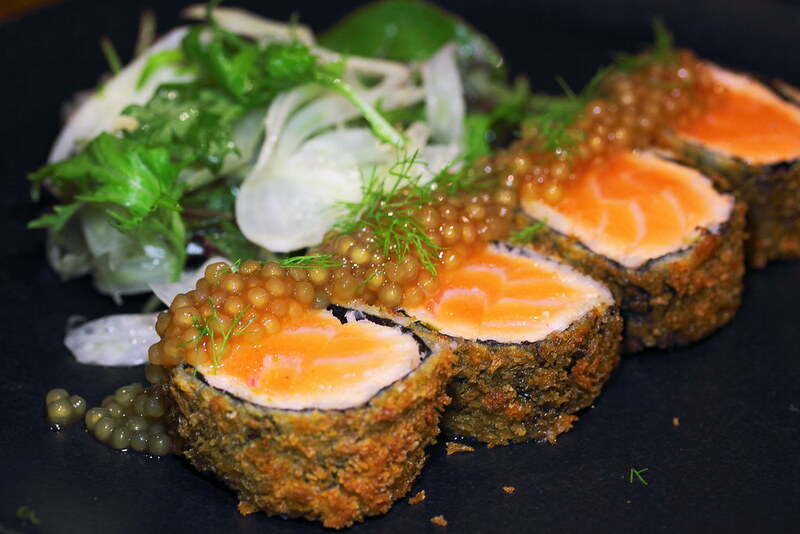 The salmon is first wrapped around with nori and fried in low temperature. It is then breaded and double fried at high temperature for the extra exterior crisp. I thought the ponzu sago was very clever as a substitute of the dipping soy sauce, accentuating the enjoyment of the salmon. The fennel salad tossed in a tangy sauce cut through the greasiness of the deep frying. 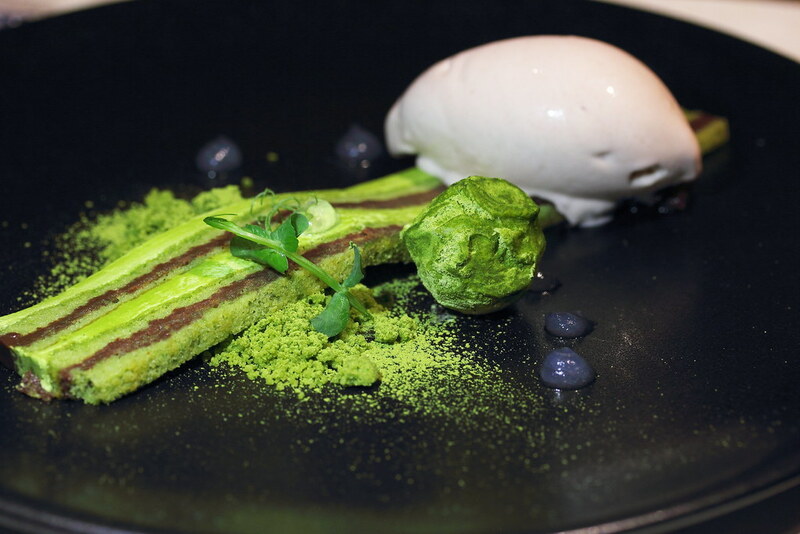 I personally think the Green Tea Opera ($13) is a beautiful dessert which will be enjoyed by many. However the adzuki bean ice cream was pale in flavour. I was also not sure what is the purpose of the sake gel. A point was brought up that opera is a French cake, raising some discussion what exactly is the so called new Americas cuisine. There is one dessert that I adore very much on Raven's menu. 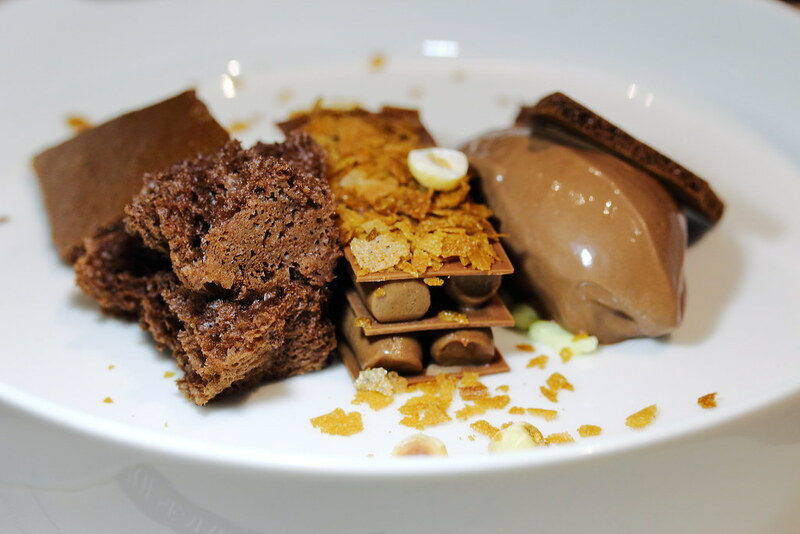 The Chocolate Overdoes ($13) consists of a platter of various textures of Belgian chocolate. This is chocolate haven on a plate. 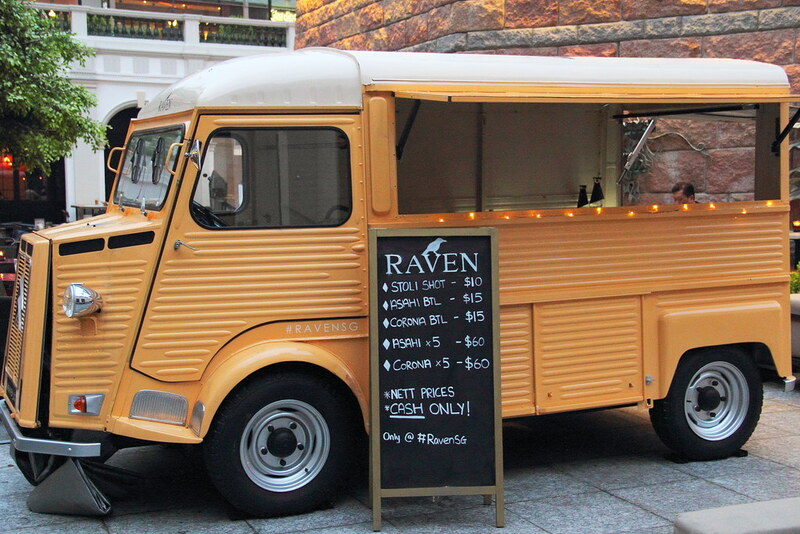 Raven is definitely a new and exciting addition to the F&B scene with great food and drinks. While I did enjoy my experience at Raven, I am still very puzzled what exactly is new Americas cuisine. I leave it to the diners to judge themselves. it skipped my mind that all the dishes actually are a hodegepodge of American 'immigrant' flavors, one of my favourite dishes the open ravioli representing the Italian community. Ooops.. hehe. so there is no true Americas cuisine but a mixture of the new immigrants' cuisine from various part of the world.